Patrons of two late night bars—one in Boystown, the other in Lincoln Park—were fired on with paintball guns by someone in a passing car early Wednesday. No serious injuries were reported. 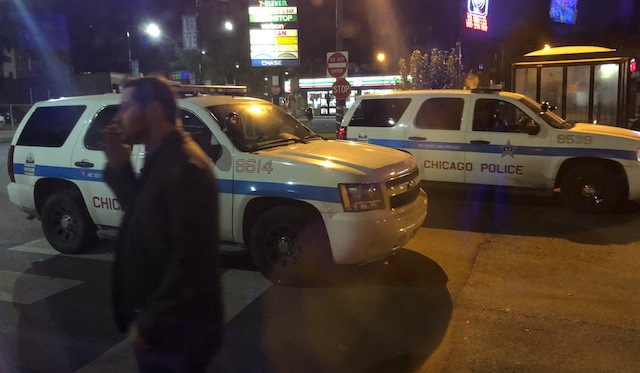 About six people were standing outside of Charlie’s, a late-night Boystown bar at 3726 North Broadway, when a car with four male occupants drove by shortly after 2 a.m., according to witnesses. 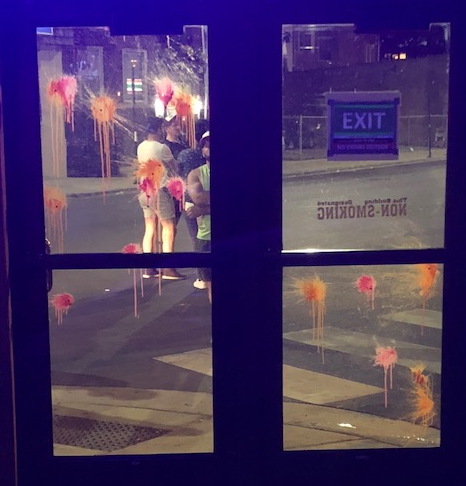 Someone in the vehicle began firing paintball pellets that plastered the bar’s front door in orange splats before the gray four-door sedan sped away northbound on Broadway. “I had just walked in, and heard a strange noise that sounded like rocks hitting the windows,” a patron said. Thirty minutes later, the same thing happened at Frank’s, a late-night bar at 2503 North Clark in Lincoln Park. Three people who were standing outside the bar smoking reported being struck by projectiles, though none was seriously injured. Witnesses at Franks thought the vehicle was a brown Chevy Caprice with tinted windows.